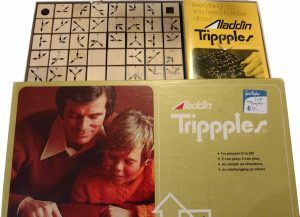 Trippples (with three “p”s, p-p-pick up a p-p-penguin fans) is a chess-like strategic game from the 1970s. I found a copy in a Sue Ryder charity shop for £4. Bargain! Two players, or two teams of two, try to get their transparent marker from one corner of the board to the other. Every square on the board has arrows pointing in three directions. These arrows tell you which directions the pieces can move each turn. The genius touch of Trippples is that your available moves are determined by the arrows under your opponent’s (or opponents’) marker(s). To win, you must force your opponent to move to a square that allows you to move to your destination. NOTE: This post DOES NOT contain plot spoilers for Pandemic Legacy. To learn more about the game, here is a longer, also spoiler-free preview. In brief, Pandemic Legacy is an episodic, choose-your-own adventure, campaign-style board game. Intended to be played over 12 months, the rules and objectives change month by month and permanent changes to the game are made by ripping up cards or sticking things to the board depending on how well, or badly, you do in each game. 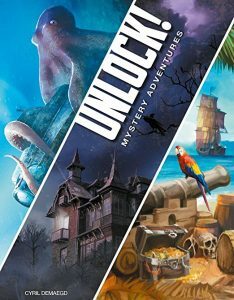 Everyone’s story will be slightly different, though the major plot points in the game will be the same for everyone as you work through a fixed “Legacy Deck” of events and objectives. January has been a busy month in the world of Pandemic. My other half and I played several tutorial games before finally jumping into the full campaign. This post covers my thoughts on the basic Pandemic game based on the tutorials and contains no campaign spoilers. I’ll save those for the next post. NOTE: This preview does NOT contain plot spoilers for Pandemic Legacy. If you’re not familiar with the Legacy genre, this will sound like an unusual way to start a review of a board game. But Legacy games are unusual, as I recently started to learn. 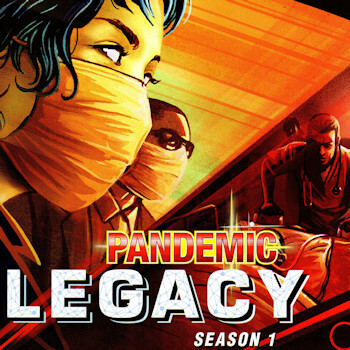 Released in 2015, Pandemic Legacy was the second game in the Legacy genre. The series started with Risk Legacy in 2011 but it was the buzz around Seafall in late 2016 that finally caught my attention. The concept underpinning all three titles is that decisions and outcomes in one game affect subsequent games. In Risk Legacy, a variation on the classic game of world conquest, players choose a faction they will lead over the course of 15 games. Factions gain and lose bonuses depending on how well they do. 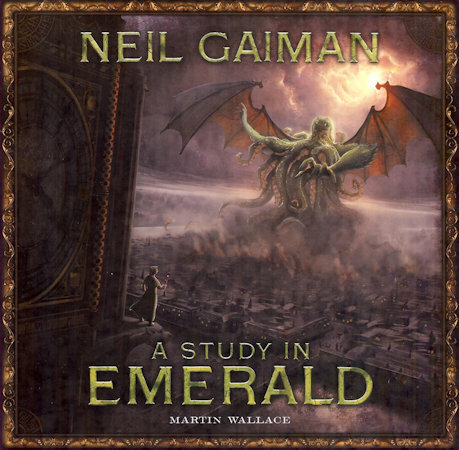 Individual games become parts of a longer campaign. Pandemic Legacy reportedly raised the bar and produced something excitingly different. I intend to recount my personal experiences while playing through the whole of “Season 1”. This first post is spoiler free in the sense that I have done nothing but open the box, read the rules, and play a trial, legacy-less game with my other half. 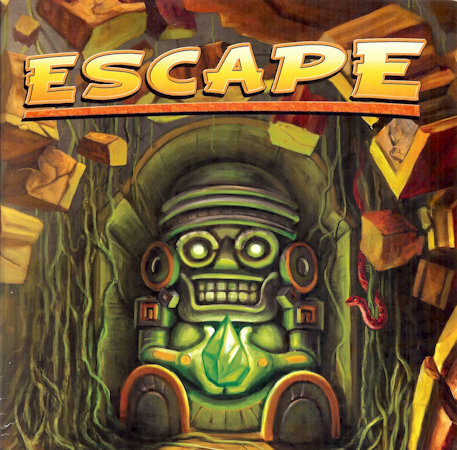 “ESCAPE!” Say it in a loud, low, resonating voice with a trace of a German accent and you get some idea of how each game of Escape begins. 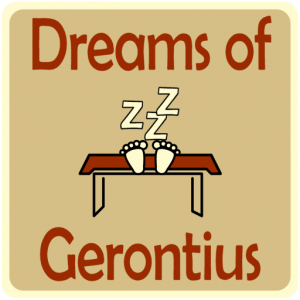 For it comes with a CD soundtrack that acts as a timer for this frantic, real-time dice rolling game. It brings back memories of the old Atmosfear games, where a video character interrupted you at random moments. But while I found Atmosfear to be enjoyable once for the gimmick then instantly forgettable, Escape has been brought out at a few parties and family gatherings and has always proved good fun. Good news, I have created a printable version of The Bus Game for everyone to enjoy. Download and print off the file. Then you can either cut out and stick together the playing pieces, or you can use Lego bricks for the buses and a coin for the time-track counter. There are numbers on the top of each bus so you can use a normal six-sided die if you want. I hope you enjoy the game. Please leave a comment to let me know how you got on! 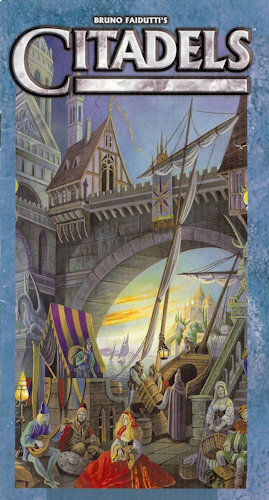 Citadels is a tidy little card game in a small blue box. When you have a lot of games, and when you want something to take round a friend’s house or to the pub, these things are important! It’s also fun to play, this being the other important thing in a game. The players are noblemen (and/or women) competing with each other to build the best citadel. This can only be achieved with lots of gold and the help of powerful characters such as the Thief, the Merchant and even the King. Each round players secretly choose a character to aid them from a deck of cards. Each character has very different skills and abilities. The Bishop will earn you more gold if you favour the Church, while the Warlord will destroy buildings in your opponents’ citadels, for a price. Most intringuing are the Assassin and Thief. These characters kill or steal from others, but only if the player correctly guesses the character selection made by others. UPDATE! 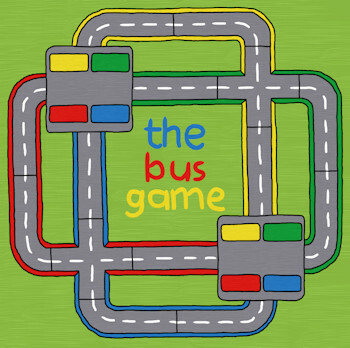 The Bus Game has now been released for Android on the Google Play Store. Please check it out and let me know what you think. 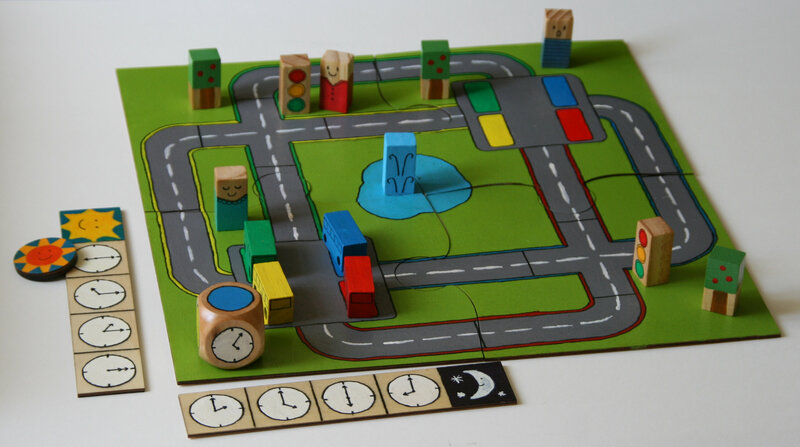 The Bus Game is a children’s board game of my own design. My other half and I made a prototype (for my nephew’s birthday) by buying bits of wood off the Internet, painting them with acrylics and tester paints intended for when we finally redecorate the bedroom, then spray-varnishing them. Players try to get the four coloured buses through the village, from one bus depot to another, before bed-time. The game is co-operative so everyone wins or loses together.